Whether you love photographing people on the street in the town square, proportionally cropping photos in a square, have an eye and affinity for geometric shapes, or want to get creative this week’s Flickr Friday challenge is for you! There are many ways to interpret the word ‘square’ and we look forward to seeing your submissions. 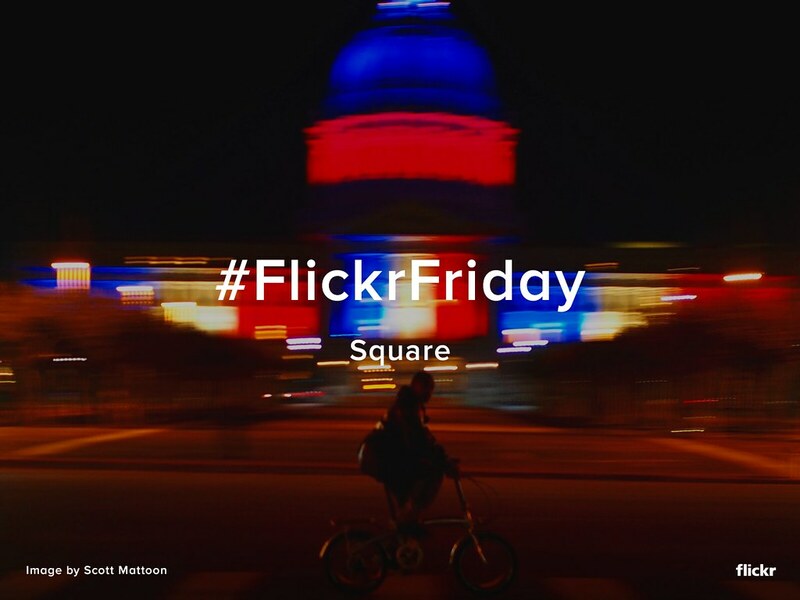 Be sure to tag your photo #Square and submit it to the Flickr Friday group pool. It is a popular tag so get creative and stand out! We’ll publish a selection of our favorites next week on the Flickr Blog and in a Flickr Gallery. Original photo by Scott Mattoon.